Born in September of what was, at the time I originally wrote this, an indeterminate year ("age is a personal thing - maybe someone will find it out for my obituary.") and brought up in Washington where he won the top music award at High School, Tim first came to prominence in 1967 with his first album on CBS (Columbia). Prior to that, he had trained for the priesthood (but got thrown out for inappropriate behaviour - smoking) and been a navigator for Strategic Air Command before becoming involved in the music business. His first notable group was The Journeymen, along with John Phillips and Scott McKenzie, both of whom went on to musical fame. He then teamed up with fellow members of the New York folk scene, James Hendricks and Cass Elliott, to form The Big Three (not to be confused with the British group of the same name). CBS, in the wake of their success with Bob Dylan, sought out artistes looking for record deals and the first solo album was born. The blues, folk and rock influences made it a classic, with session musicians of a high quality brought in by CBS to ensure their product was a success. However, the record company didn't seem to have a clue about how to market the album and Tim got lost amongst a host of new acts that had been signed. Jimi Hendrix picked up Tim's version of Hey Joe and made a hit out of it. Because Tim didn't actually write it, he never got a penny in royalties. 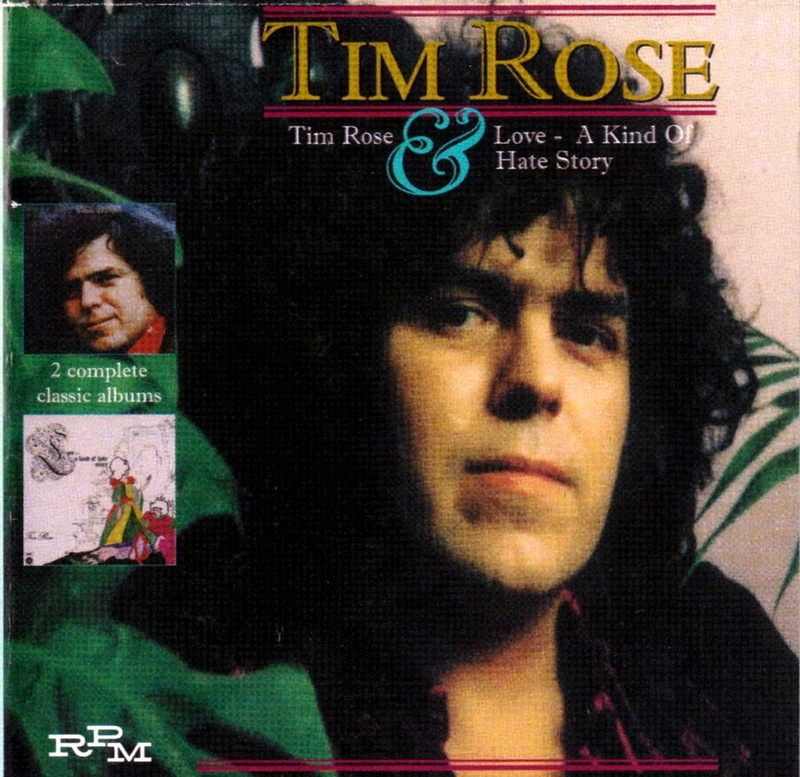 More successful in the UK and Europe than in his home country, Tim moved to England in the mid-seventies, performing occasionally in clubs around London, sometimes with fellow expatriate Tim Hardin. These appearances were often shambolic, probably because of the uncertain state that Hardin was in. His heroin and alcohol addiction meant that while he could sing brilliantly, he was unpredictable and therefore grossly unreliable. The first CBS album was followed by several more excellent recordings, but the one elusive thing that Tim faced was chart success. This led to a variation in styles in the hope of capturing a different market, but no matter whether he rocked, sang ballads or played country, the record sales were getting less as the years went on. Meanwhile, he was messed around by people in the music business and he became soured by the way things were going. 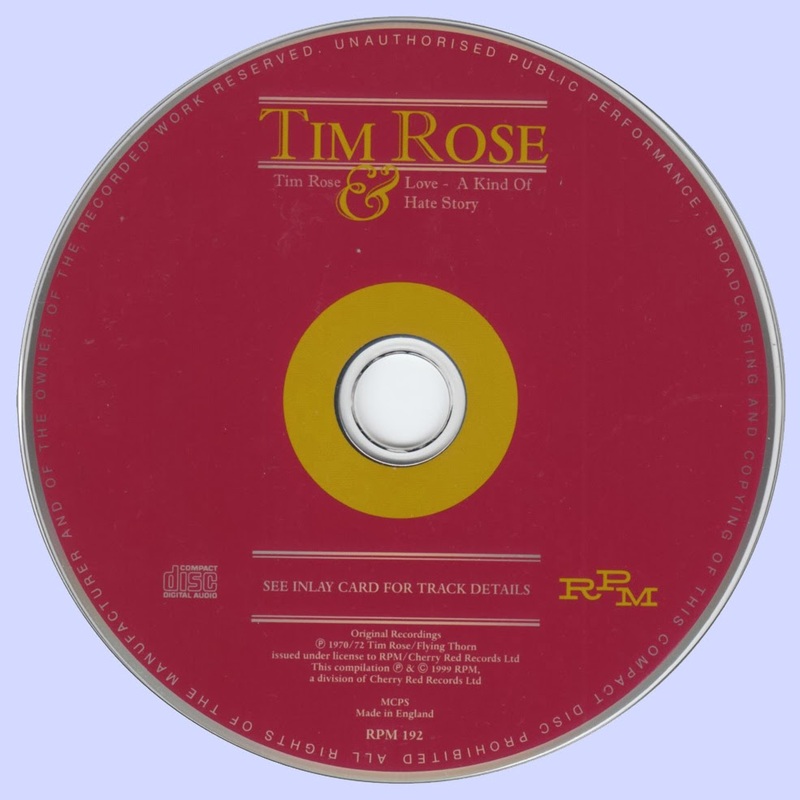 After The Musician, Tim retired from the music business for a number of years before The Gambler was eventually released in 1991. During that time, he was involved in construction work, did some TV commercials that paid for his degree, did some geography teaching and was a Wall Street stockbroker. In the late 1990s, encouraged by Nick Cave and Jacques Laureys, he started playing live again, supporting Cave at the Royal Albert Hall in London. This collaboration led to a new album, Haunted, a mixture of older material, recorded live, and new material produced by Cave. His older albums started being re-released as double CDs and a further album of new material came out in 2002. Tim had managed to get back to touring, with a substantial tour of England and European venues in 1999 and further sporadic gigs from then on. Another interesting development was that Brook Guitars of Exeter, Devon, designed and manufactured a Tim Rose guitar. Made of ebony and spruce, with rosewood sides and a mahogany neck, the guitar had Tim's autograph on it. The price? £1795. Not the kind of thing one would smash up on stage. Tim went into hospital to have a bowel complaint investigated. His heart didn't survive the second of two operations and he died on 24 September 2002, his age now admitted as 62.